Incontinence refers to malfunction of your urinary system. This malfunctioning could be dangerous as it contributes to bladder problem where it loses natural control. This condition is commonly found in women after pregnancy that caused by weak pelvic muscles. You can identify kidney diseases via symptoms like swollen ankles, hands, and high blood pressure, etc. If you notice the symptoms consult with your urologist and he can diagnose an actual problem. A urologist doctor is trained to treat a condition where small and hard particles from acid salts and minerals formed in the kidney and can travel to ureters if not treated on time. 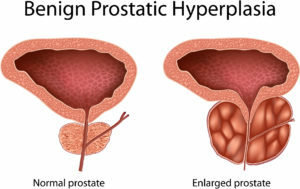 You can consult with a urologist doctor regarding prostate infection or inflammation that results in painful urination. These infections occur when bacteria, present in the digestive tract travel to the urethra. It affects women frequently that you can identify via symptoms such as incontinence, irregular urination, pain, etc. A urologist can treat urological and male reproductive system cancers such as prostate and bladder cancer. In this condition, the tissues and muscles of your pelvic floor become unable to support pelvic organs that your urologist doctor can treat effectively. It happens due to excessive growth of cells in the male prostate gland that result in the narrowed urethra. This condition causes complications during urination. Your urologist doctor can prescribe right treatment in this regard. It is a syndrome where chronic inflammation in your bladder produces constant discomfort that gets intense or sometimes mild. Your urologist doctor can suggest an effective treatment in this regard. It can cause various conditions such as injury, inflammation or infection that create urination problems. If not treated by an experienced urologist, it can result in UTI or prostatitis. Blood during urination can cause via various conditions. In some cases, it is not a serious issue; however, you should not ignore it as it could be a symptom of kidney stone or cancer. You need to consult with a urologist to identify the causes regarding this tint in the urine. Also, treatment on right time can save you from a daunting health problem in this regard. You can consult a urologist doctor concerning urological problems in children as well If a primary care physician found them complicated. You should never ignore complications during urination as they could be a symptom of major health problem. So, don’t wait and book an appointment immediately with the reliable urologist doctor in New York. For more information on General Urology click here. Your primary care doctor can treat various health problems, but for diseases like kidney stones or urinary tract infections UTIs, you should consult with the urologist. A urologist can treat every problem associated with male and female urinary tract.